Immovable cultural heritage under state protection refers to those major cultural sites listed as heritage protection units for their historical and cultural value. 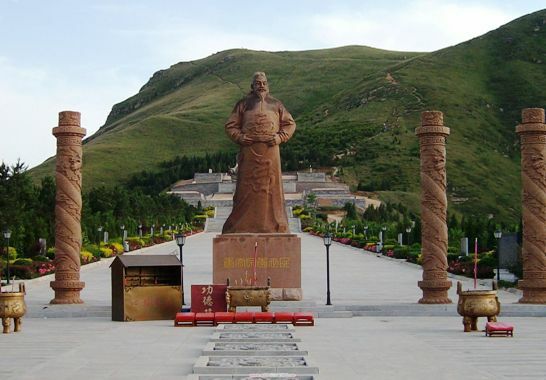 Located 70 km from Xi'an and 30 km from Xianyang City, Zhaoling Mausoleum (昭陵) was the tomb of Li Shimin, Emperor Tai Zong in Tang Dynasty (618-907), which was the largest Tang mausoleum. It covers an area of 200 square meters and has more than 180 funerary tombs. Most cultural relics are hosted in the Zhaoling Mausoleum Museum. Construction of the tomb was a huge project, meticulous in design and flamboyant in structure. The stone engravings in Zhaoling mausoleum provide excellent examples of early Tang calligraphy. The "Six Steeds of Zhaoling", one of the most significant carvings in the mausoleum, were carved on 2.5-metre-high by 3-metre-wide stone slabs and arrayed in rows on the eastern and western verandas of the northern gateway. The carvings are rare cultural relics and indicative of the amazing accomplishments of ancient Chinese sculptors. - How to get there: take bus at Xianyang Bus Station.